A Leading IT Corporate Training Company. 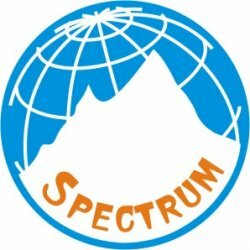 Spectrum Infogain Training programme is the preferred choice of Engineering students/science graduate & professionals as it gives students to get hands on Experience, unlike any other training in industries where students/professionals are not allowed to work on the real equipment during their training. Our training programs are exhaustive and covering the latest and upcoming technologies. spectrum today has become the number education provider in the field of Java, .Net, Networking, HR and Telecom. We have Six Weeks / Months Training Programme are hear, According to Student Academic Need, Along with live Project. Once you join with Spectrum Infogain, we take care of your placement activities. We will be your placement consultants and you can just concentrate on your training & practice .Placement support with leading MNC & NON-MNC for resorting and placements. We Are IT-CORPORATE TRAINING Company, these are our clients, where we already provided the training.